MBA fairs are events where many business schools are present in one place, each at a school-branded stall or booth, ready to interact with and provide information to prospective applicants. 1. Know why you are there. You are there to find out information about schools that is *not* on their Website. You want to be asking questions that will fill out your knowledge of the institution and the program, so that you can make good decisions where to apply. 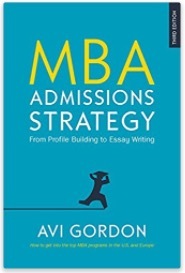 Some of what you learn should also be useful in your MBA admissions essays. 3. Be realistic about how many potential applicants any school rep will see in a day. That is, hundreds. That means no, he or she very likely will not remember you when you apply. But you may reference a conversation you had at the booth in your MBA essay. 4. 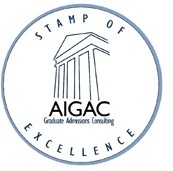 Keep a savvy distinction in your head between a school rep and the admissions committee. It’s possible but unlikey that anyone from Adcom is at the booth. 6. Knowing the school rep you’re talking to doesn’t make any admissions decisions –not even the first cut– also means there’s no point in monopolizing their time. Find out what you need and move on. Play nice for others who may be waiting. 7. Depending on your style, it’s worth having a planned route. You will have a good idea of the schools you want to talk to, and with a floor plan you can cover your ground in the most efficient way. But don’t shut out serendipity. Part of the benefit of an MBA admissions fair is discovery of the hidden gem. 8. Quality of engagement is more important than quantity. Having had a handful of significant chats with school reps is more valuable than saying hello and picking up the marketing material from 20 booths. 9. Go early. You want to catch the reps when they are fresh and when they have relatively more time for you. 10. Keep it professional. You’ll share some of your back-story and motivation in a decent conversation with a school rep, but you should remain at a business-like level. Your time at the booth can’t get you admitted, but it could circumscribe your chances.